Since its inception in 2011, Intel has been a key contributor to the Open Compute Project (OCP). As a founding member of OCP, Intel strives to continue increasing the number of open solutions based on OCP specifications available on the market. That mission was front and center today at the annual OCP Summit in San Jose where we talked about a number of OCP-based products available from Intel and our ecosystem partners. One of the highlights today at the OCP Summit was the introduction of the Intel Xeon processor D product family, announced by Intel on March 9th. It was an exciting moment to share more details with the OCP Summit audience about the first Intel Xeon based product manufactured on 14nm. Intel has leveraged our extensive data center experience and our leading 14nm process technology to create a highly integrated system-on-chip (SoC) that integrates Intel Xeon compute cores, Intel networking, and I/O onto a single processor. During my keynote I had the pleasure of welcoming Jason Taylor, Facebook’s VP of Infrastructure, to talk about how Intel and Facebook are collaborating to create solutions and share them with the OCP. During our conversation, Jason talked about an Intel Xeon processor D-based system called Yosemite that Facebook will adopt and contribute to OCP, and the power and performance benefits delivered by this new SoC. For Intel, the most important part of launching a new product is helping our customers to be successful, and it is very rewarding to see a key partner such as Facebook be an early adopter of our latest product and join us at the OCP Summit to share with the audience how the Intel Xeon processor D product family will benefit their data center. In our demo booth at the OCP Summit we are demonstrating the first implementation of Intel Rack Scale Architecture (Intel RSA) based on OCP-compliant hardware. Intel RSA is a logical architecture that enables the disaggregation and pooling of compute, storage, and networking resources, allowing our customers to deliver higher performance while lowering the TCO of their data center systems. Already, there is a growing RSA ecosystem focused on the development of OCP hardware, with RSA evaluations under way in the data centers of leading cloud service providers. Intel is also contributing a wide range of new networking and storage products and technologies. At our booth you can check the first live demo of a 100-gigabit Ethernet switch for Intel RSA and also a new 40GbE adapter that supports the OCP 2.0 design specification. As these examples should show, Intel is deeply committed to the OCP and its mission to enable the design and delivery of open, highly efficient hardware for scalable computing. To date, Intel has made several contributions to the OCP in the form of servers, racks, storage, and networking components aligned to OCP specifications and has worked with our partners on the development of 40 OCP systems. You can expect us to continue to innovate and work together with our ecosystem partners to share specifications and best practices with OCP that deliver highly efficient solutions to the industry. Intel and the Intel logo are trademarks of Intel Corporation in the United States and other countries. * Other names and brands may be claimed as the property of others. 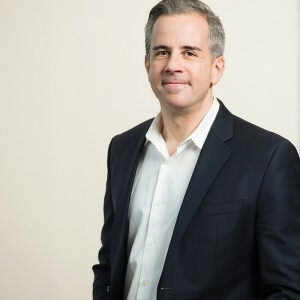 Jason P. Waxman, Corporate Vice President, Data Center Group and Data Centric Chief Strategy Officer (CSO). As CSO, Jason will be focused on driving consistent, strategic long-term business planning, accelerating new business models, and identifying inorganic growth opportunities in close collaboration with Intel Capital. Waxman joined Intel in 1997 and has held several roles in cloud, enterprise and data center computing. Before being CSO, Waxman started the Datacenter Solutions Group leading the systems and rack scale design businesses. He was also the general manager of the Cloud Platforms Group, where he managed Intel’s business, products and technologies for cloud service providers. Prior to that, Waxman was general manager of high-density computing and led the definition and introduction in enterprise of Intel Xeon platforms. Before coming to Intel, Waxman worked in strategic planning and manufacturing for Emerson Electric. Waxman is an industry advocate for standards in data center computing, including board roles in the Open Compute Foundation and the Server System Infrastructure Forum. He initiated Intel's role as technical advisor to the Open Data Center Alliance. He is involved in non-profit charities and acts as a trustee to the Oregon Health and Sciences University and a board member for the Boys and Girls Aid. Waxman holds a bachelor's degree in mechanical engineering, a master's degree in operations research, and an MBA degree, all from Cornell University. Next article:You don’t want vendor lock-in… but aren’t you always locked in?